Thais seem to have a fascination for Korea and all things Korean, and I thought this week’s review book from Tuttle Publishing might explain this. 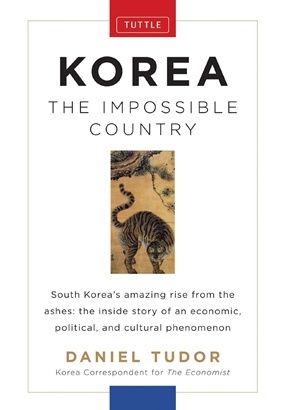 Written by Daniel Tudor, a western journalist with extensive knowledge of Korea and its history, “Korea The Impossible Country” (ISBN 978-0-8048-4252-5, Tuttle Publishing, 2012) is a hard-back with many color plates. The first section of the book deals with the history of the peninsula, and how national religious concepts have formed many of the development stages. The history of Korea dates back hundreds of years BCE and I found this very interesting, especially when compared to Thailand, a veritable newcomer in the historical stakes, and even for many western counties as well. 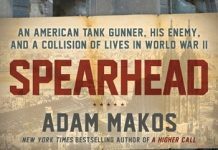 The early years were punctuated by bloody wars, with four main protagonist groups superior. This is the reason that surnames Kim, Lee, Park and Choi make up half the population today! Very similar to Thailand, corruption in the upper echelon made many rich, and spawned many rebellions, but eventually Korea managed to form a workable democracy. The current economic miracle, author Tudor ascribes to “the ability to perfect the products of others, stems from a laser-like focus on continuous improvement, which owes as much to Buddhist thinking here (in Korea) as it does in Japan.” In fact, it would seem that most of Korea’s development has been greatly influenced by the religions of the day, be that Buddhist, Confucian or even Christian. Tudor has even researched the Korean music scene and how it was affected by dictatorship, and government censorship. This is a very complete book. The RRP is B. 710 for a hardback, and it is more than worth it. Read and Korea will be opened up for you, and one can only hope that Thailand will catch up soon. With the publishers making it possible for an e-interview I asked the following questions but his answers were much longer and I had to use the editorial pen! Q: With your British background, just what was it that attracted you to Korea? A: Korea is a very dynamic society, where things change in the blink of an eye. There’s always something new going on in Korea – a social trend, a political scandal, a fad, etc; so life is never boring there. Q: There is no bibliography to divulge the sources of information. From where did you get the research data? A: My main sources of information were interviews – often with people directly involved in the events I’m describing; for instance, I interviewed Park Won – soon – he was sent to jail in the 70s for protesting against the government; he was a social campaigner for years; and now, he’s the mayor of Seoul. Q: With the rapid economic miracle, would you say that the Korean society is now stable? A: I don’t think Korean society is that stable yet. The rapid growth era is definitely over, but plenty of people still have that developmental philosophy, which I believe is now somewhat detrimental to the South Korea of today. This book will give you a better understanding of Korea.